I've written about the importance of monitoring your credit reports and obtaining your free annual credit reports from www.annualcreditreport.com. 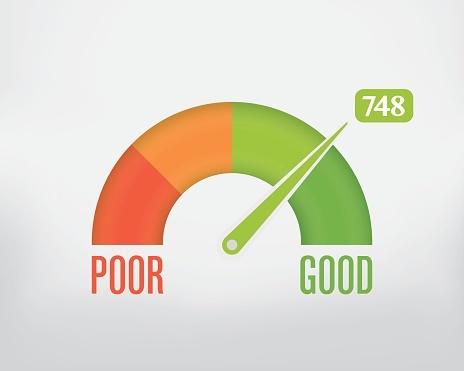 Now, what does your credit score mean? Credit scores range from 330 to 830. The "average score" ranges from 660 to 720. Below 620 is considered "subprime." From 720 to 750 is "very good," and 750 to 830 is "excellent. " Your score is produced by a complex FICO formula that analyzes the information reported in your credit report. The FICO score is based upon your payment history, the amounts owed, the length of your credit history, the types of credit used, and new credit. You can increase your score over time. Pay your bills on time. Don't max out your credit cards - keep balances under 60% of your credit limit. Make sure that negative information over 7 years old is removed (except for Chapter 7 bankruptcy). Check if your mortgage or other account is reported more than once. Do not apply loans from several lenders at the same time. Send corrections to all three major credit reporting agencies: Equifax (www.equifax.com), Experian (www.experian.com) and TransUnion (www.transunion.com). And keep checking those credit reports. If you need help with overwhelming debt, contact a personal bankruptcy lawyer today.